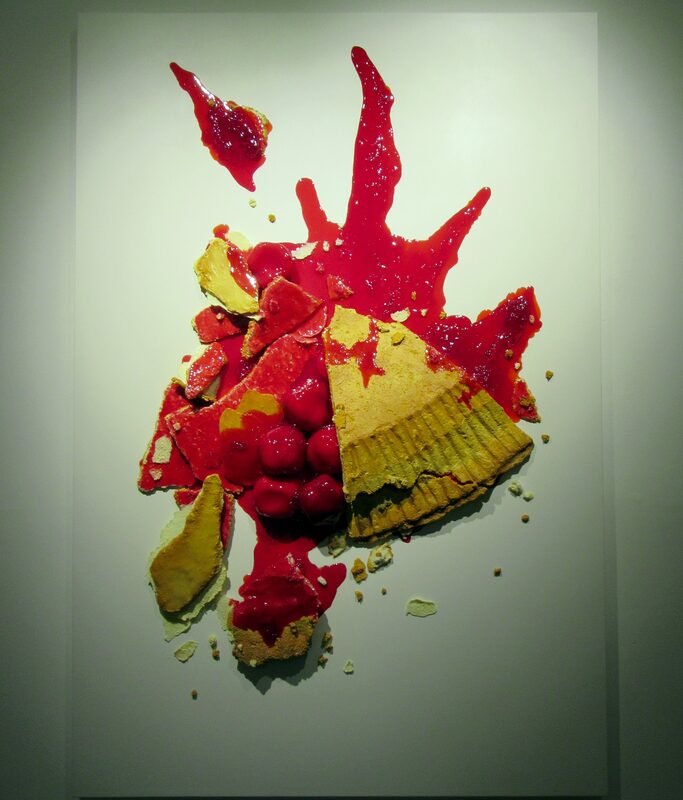 Sculptor Peter Anton, the king of monumental-sized Hyper Realist Food Sculptures, returns to the Unix Gallery for another of his immersive, slightly dark, food-themed exhibits with Sugatarium, which opened on Thursday, April 27th with a reception at the gallery. 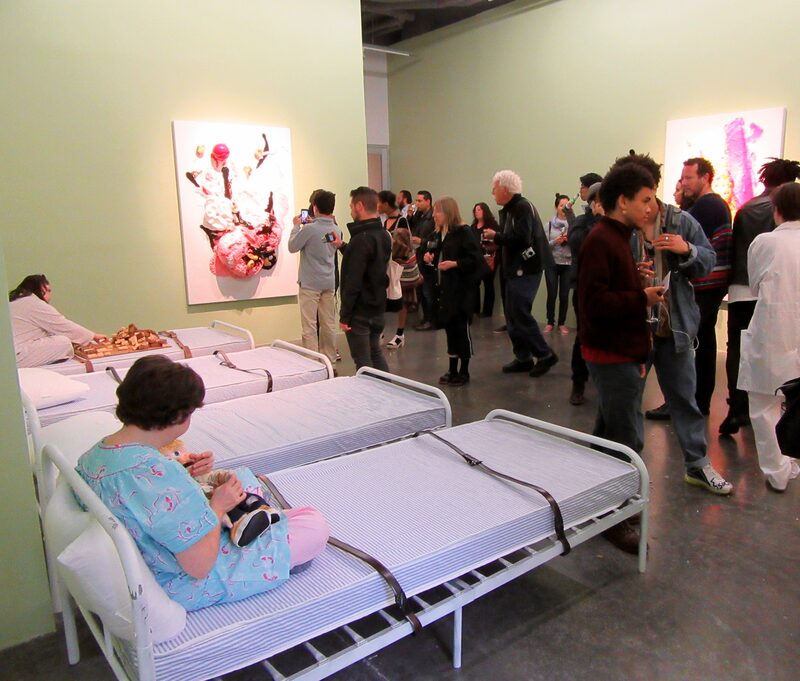 As an exhibit of Anton’s wildly impressive artworks, Sugatarium is staged like a secret sanitarium for those driven to the brink of madness by a craving for sugar; and as such, the gallery installation includes a number of institutional beds — some complete with leather restraints — which, for the opening party, were occupied by actors playing the parts of “patients.” One pajama-clad lady, seen in the foreground in the above photo, cradled and spoke in hushed, comforting tones to a stuffed doll. Another ‘patient ‘aligned and stacked bars of Rice Cripsy Treats with mind-numbing repetition. Gallery attendants, and Anton himself, could be identified by their white lab coats as they mingled with fans. The Carpenters‘ super saccharin 1973 hit “Top of The World” played on an endless loop over a PA system throughout the evening, which added to the surreal gestalt. 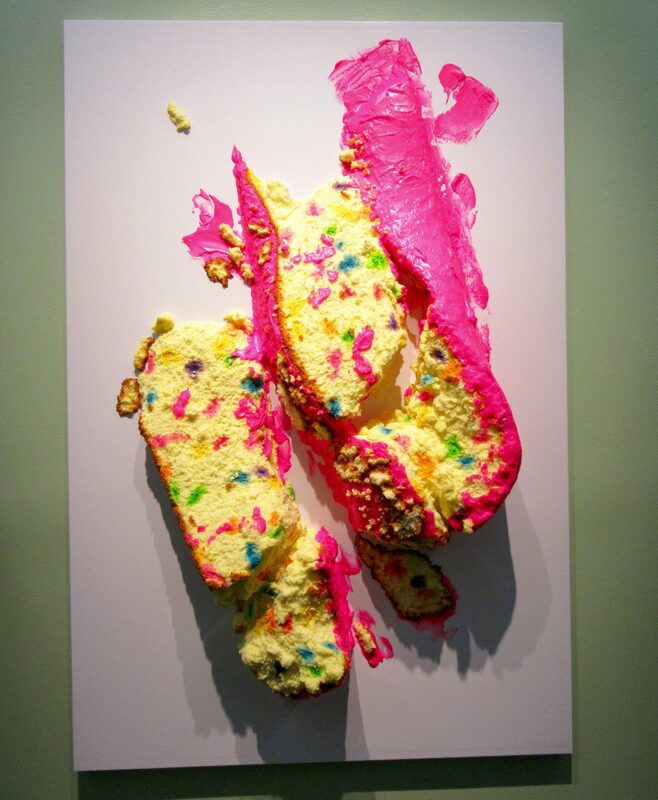 The featured artworks consist of various sugary-sweet treats which have been smashed against canvases and mounted on the walls. 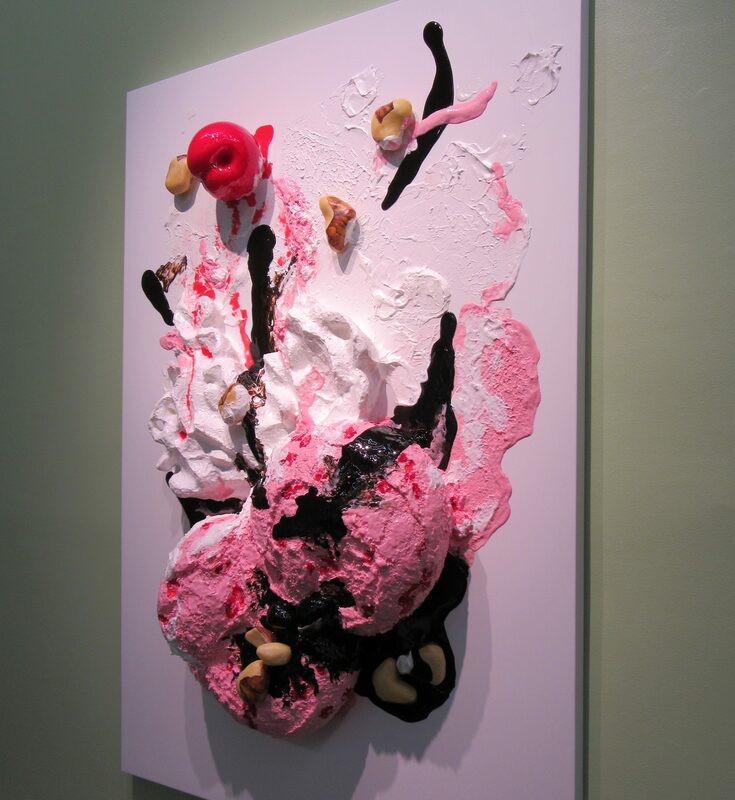 Anton uses a variety of materials, including resin, plaster, wood, clay, aluminum, and acrylic and oil paints, to make his creations look good enough to eat. They really are remarkable! 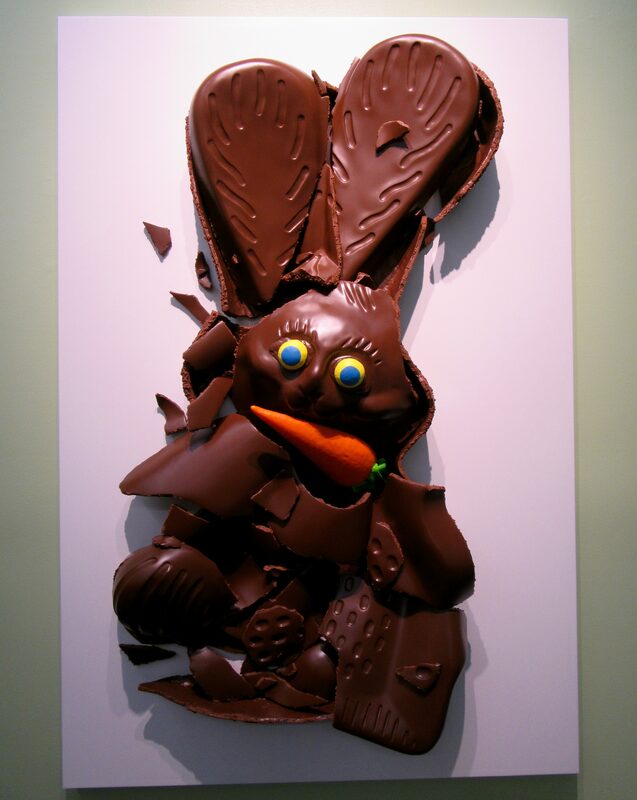 Can’t you almost taste this Chocolate Bunny with your eyes? 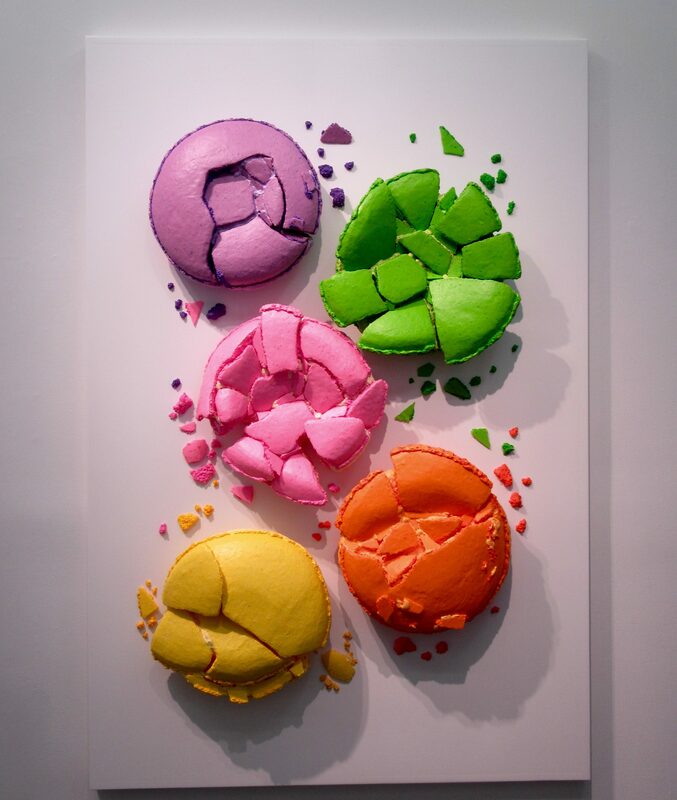 No one makes Art that looks like Food quite like Peter Anton! 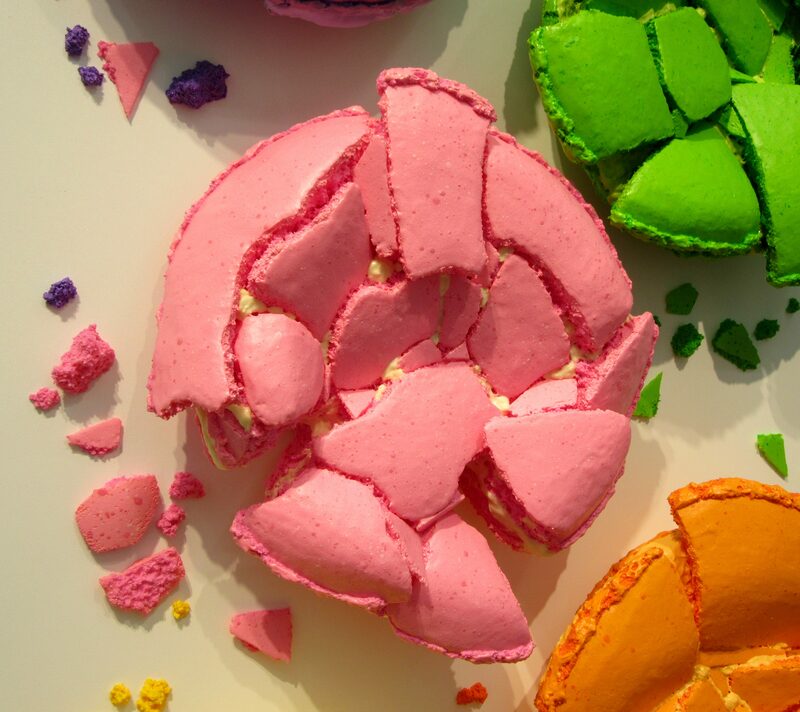 While this exhibit is much less ambitious, with only four artworks on display, it is hard not to compare Sugatarium to Anton’s 2015 masterpiece, The Foodhist Temple, which transformed Unix Gallery into a shrine to dietary decadence. Seriously, Foodhist Temple was mind blowing. 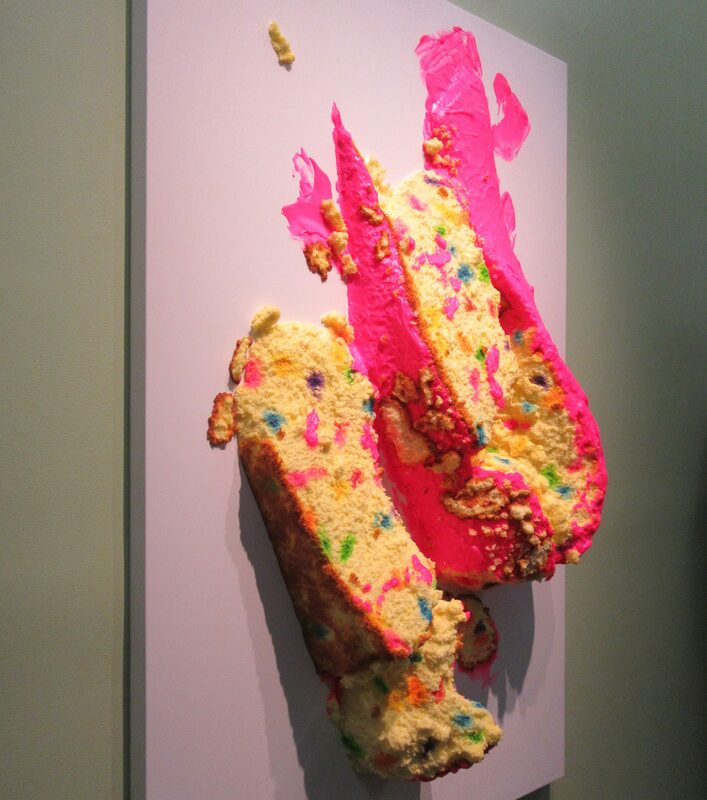 But if you already love Peter Anton’s art, or have not yet seen it up close and are intrigued, then Sugatarium is a must see. 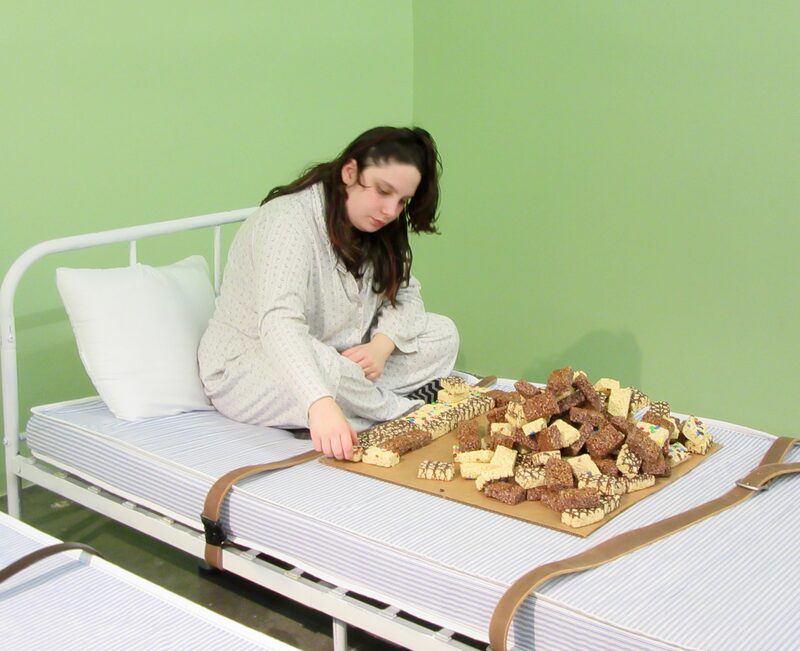 I’m not sure if Unix will continue to stage the gallery as the scene of a sparsely inhabited, derelict asylum in the weeks to come, or if they will remove the beds and add more art, which would be awesome. I might have to pay a future visit to see what’s up. 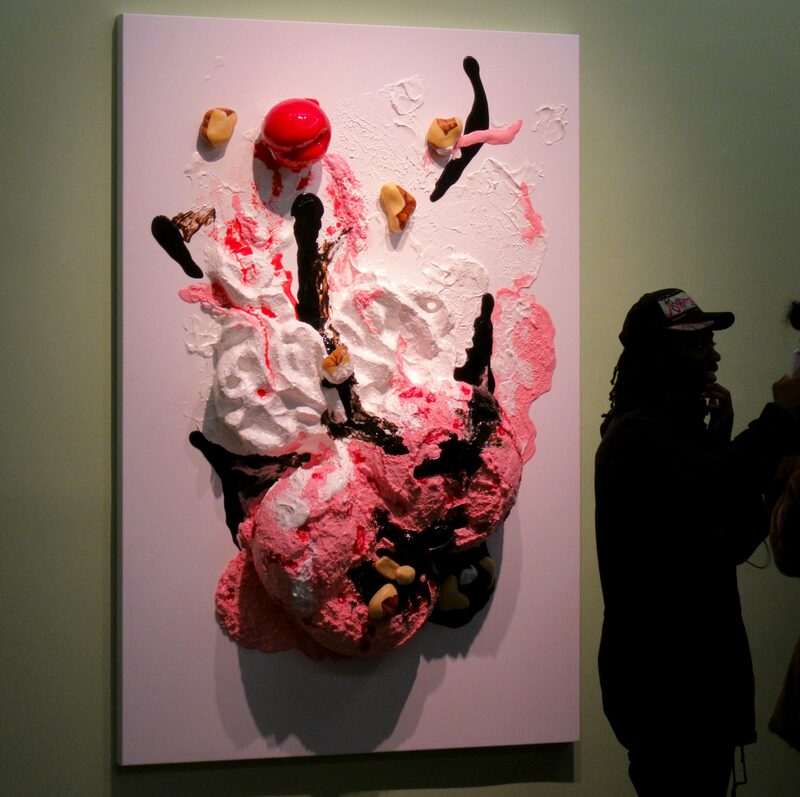 Peter Anton’s Sugatarium will be on Exhibit Through June 17th, 2017 at Unix Gallery, Located at 532 West 24th Street in the Chelsea Gallery District. Update May 19th: They Have Added More Art! See Below!